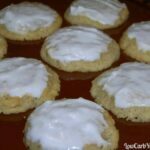 Delicious almond ricotta cheese cookies with a sugar free almond paste on top. 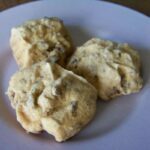 Perfect gluten free cookies for the holidays or just a yummy keto snack! Now that it is December, I have been busy taking advantage of all the holiday sales to finish up my gift shopping. Christmas is still three weeks away. But, I’m just about finished my holiday shopping. There are only a few more gifts that I need to buy. I really enjoy the holiday season. However, I dislike shopping for gifts. It’s also a time for all the sweet goodies and I’m resisting the temptation to give in to all the yummy treats at work. 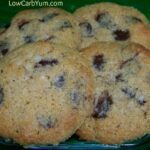 I did buy a few pre-made low carb cookies to snack on during the Thanksgiving holiday. The cookies I bought are just about gone. 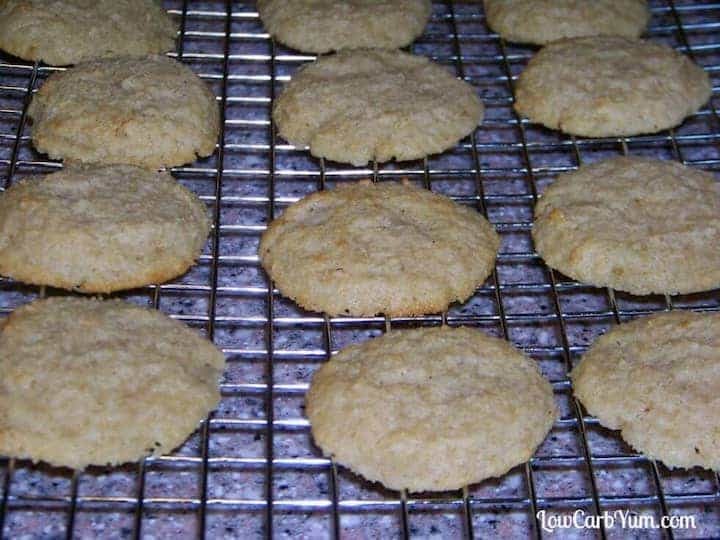 It has been a while since I’ve baked my own low carb cookies so I figured it’s the perfect time to bake a batch of almond ricotta cheese cookies. I had some left over ricotta cheese from the ricotta pie I made. 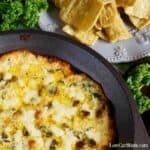 So, I decided to look for some recipes to use it up. 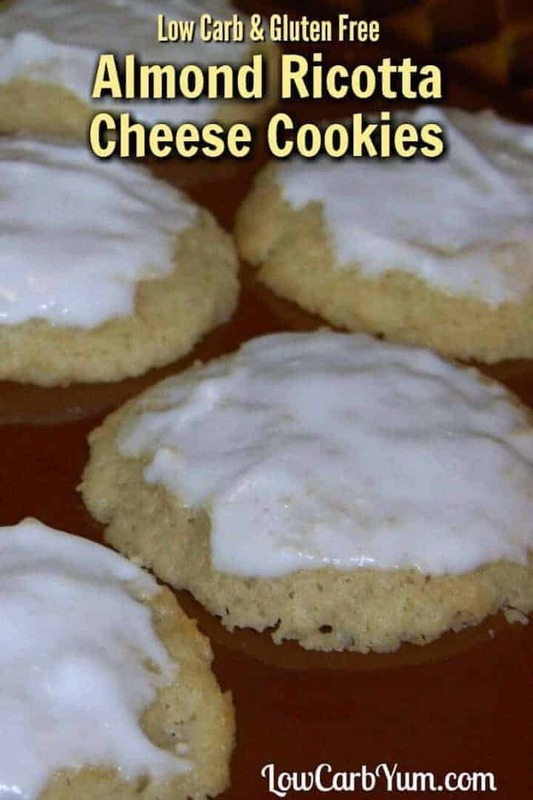 I stumbled upon a ricotta cookie recipe and thought it sounded interesting. 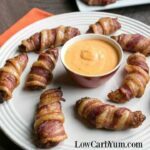 The recipe did need need to be modified to use low carb ingredients and chose to enhance the taste with almond extract. 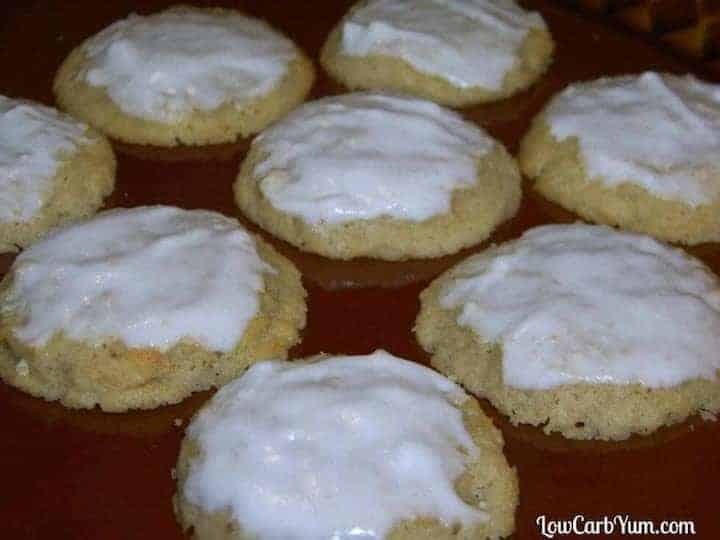 Although these almond ricotta cheese cookies are very good without the icing, I decided to frost them. Adding the sweet almond paste on top really makes them extra special. 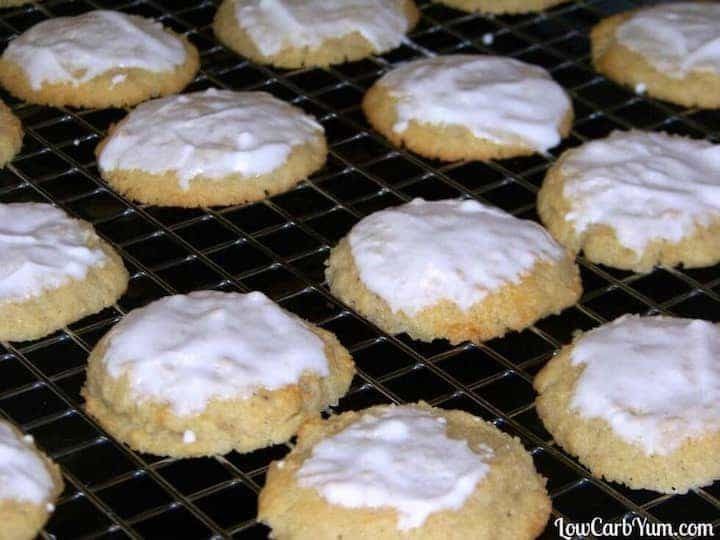 Unlike many of the holiday almond cookies, these cookies are soft, not crunchy. 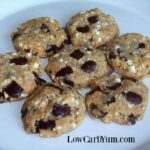 So, if you are looking for a crunchy cookie, you may want to try something like my cranberry walnut cookies made with almond flour. 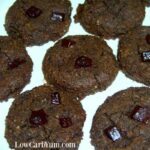 What kind of low carb holiday cookies are you baking this year? 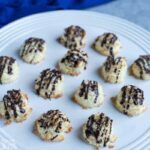 In addition to these almond ricotta cheese cookies, some of my other favorite cookies to bake for holidays are coconut macaroons and chocolate peanut butter thumbprint cookies. I have also made soft ginger cookies. 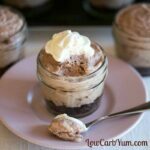 But I need to work on a good crisp low carb gingerbread cookie for the holidays. Maybe one day, I’ll figure out how to make a pretty sugar free gingerbread house for the holidays. Of course, it would be gluten free too. 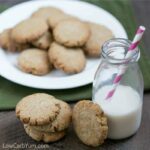 Although these low carb ricotta almond cookies are great plain, the sugar free almond paste on top really makes them extra special. 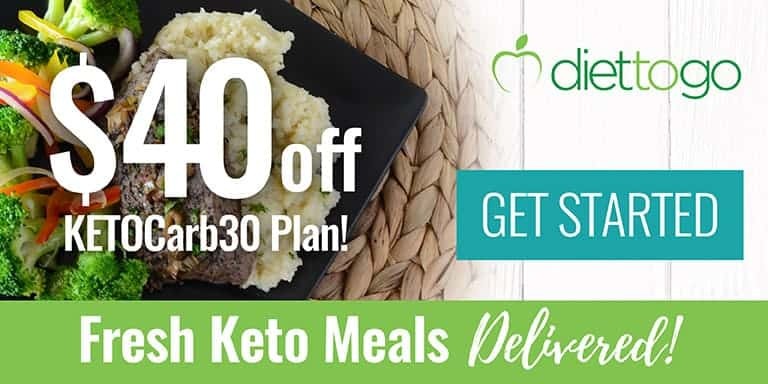 Also gluten free! 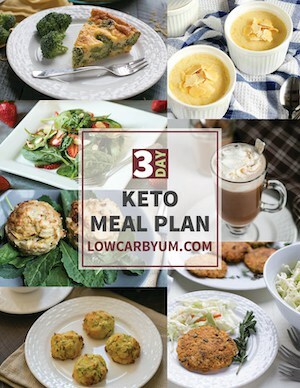 In a mixing bowl, cream together butter, sweetener, eggs, ricotta cheese, and extracts. In a separate bowl, combine the almond flour, baking powder, and baking soda. Add the dry flour mix into the creamed mixture until dough forms. Drop onto Silpat lined baking sheet using a cookie dough scoop. Bake 15 to 18 minutes at 350 °F until lightly browned. Place cookies on racks to cool. Stir almond milk, powdered erythritol, and almond extract until smooth. Brush or drizzle over cookies to frost.